인양사를 비롯하여 이와 관련이 있는 여러 절의 범종, 탑, 금당 등의 조성연대와 쓰인 식량 등을 낱낱이 기록하고 있는 비로, 통일신라 혜공왕 7년(771) 인양사 종을 만든 일로부터 이 비석을 세운 신라 헌덕왕 2년(810)까지 40년간 이루어진 일의 내용이 담겨 있다. 비는 직사각형의 바닥돌 위에 비몸을 세우고 커다란 지붕돌을 올린 모습이다. 비 뒷면에는 스님의 모습이 새겨져 있는데 이는 사찰 조성에 관련된 당시의 승려를 기리기 위해 새겨놓은 것으로 추정되고 있다. 스님은 애띤 얼굴에 자비로운 모습이며, 사람의 몸을 모방한 부드러운 선이 8∼9세기 조각수법의 특징을 잘 보여주고 있다. 비문에 새겨진 글씨의 형태는 당시에 유행했던 해서체의 범주를 벗어나 여러 가지 형태를 보여주고 있어 새로운 서체의 전개를 살필 수 있다. 당시 일반적인 비의 형태를 벗어나고, 지나치게 큰 지붕돌이 원래의 것인지는 의심스럽지만 통일신라 전성기의 불찰조성을 기록한 비석으로서 특수한 의의를 지니고 있다. 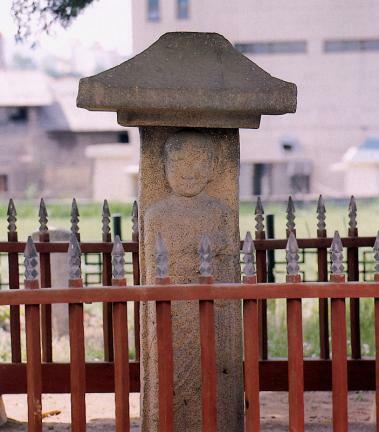 This commemorative stone is unique in that the inscription explains in detail the making of a bell at the Inyangsa Temple in 771 as well as when and how a number of other bells, pagodas, Buddha images, shrines and various facilities were made during a period of 40 years from 771 (the seventh year of King Hyegong of the Unified Silla Dynasty) to 810 (the second year of King Heondeok of Silla). Although heavily marred, the calligraphy in the inscription is mostly in the standard style that was in fashion of the time. However, as there are other styles, it is considered as a good resource for the study of development of the calligraphy style. 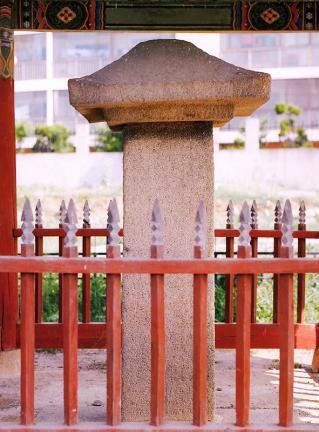 The commemorative stone is composed of a square pedestal, a main body and a large roof-like capstone. 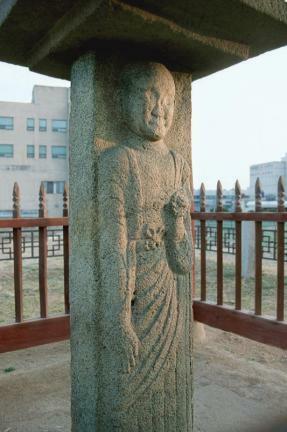 The image of a monk carved in relief at the back of the memorial stone is believed to be of one who was involved in the establishment of the temple. 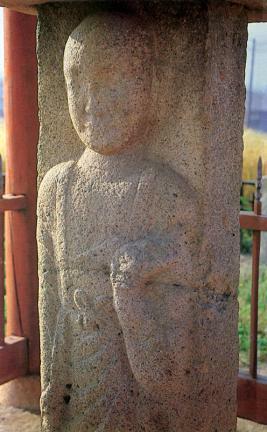 From the young face with benign smile on it as well as the gentle lines of the image, art historians assume that it was made in the 8th or 9th century. The roof-like capstone is so disproportionately large that it is doubtful whether it is the original. 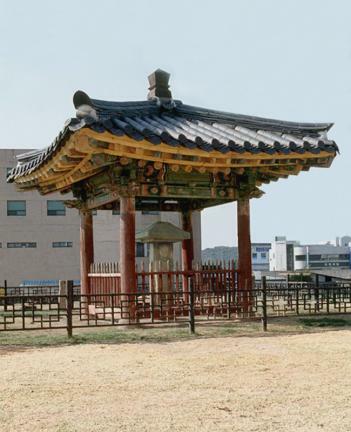 But, it is significant as it has a record of a definite time when the Buddhist temples were built, the golden age of the Unified Silla Dynasty.